It promises to be an EGGShilirating day of horse racing at Naas Racecourse on Sunday March 25th when the flat racing season gets underway. For the second year in succession, Naas Racecourse will host the first flat race meeting of the year in Ireland, and it is set to be another day of top class action. There will be plenty of fun for all the family off the track as well, as the Easter Bunny will be arriving to great excitement, while there will also be a wonderful Easter Egg trail ran by the wonderful team at the Inspire Child Development Centre to keep the children entertained. The action on the race track promises to be just as exciting on Sunday as the flat racing season kicks off with a bang, with the feature races being the Lodge Park Stud EBF Express Stakes and the TOTE Irish Lincolnshire. This is another major landmark for Naas Racecourse, who hosted the opening meeting of the flat season for the first time ever in 2017. This year there are 11 flat race meetings pencilled in for Naas Racecourse, who will also close the season with the final meeting on Sunday November 4th. Speaking ahead of the first flat race meeting of the year, Naas Racecourse Manager Tom Ryan said; “We’re delighted to be hosting the opening meeting of the flat racing season at Naas Racecourse once again this year, and I have no doubt that it will prove to be just as enjoyable and successful as last year, which was the first time we ever had it. “We are constantly striving to improve Naas Racecourse both on and off the track, and the improvements made to our flat racing course last year ensures that we have one of the best facilities in Ireland. We were very happy with the way the season went last year, and with 11 more flat meetings on the cards for Naas this year we will be busy once again. 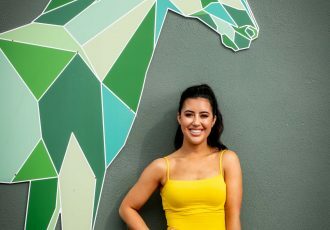 “For those who haven’t seen the brilliant new developments that have recently been opened at Naas Racecourse, Sunday gives people an excellent opportunity to get a look around them. The Circle, which boasts fantastic views of the track and the parade ring, is one of the most impressive racetrack facilities in Ireland at present. 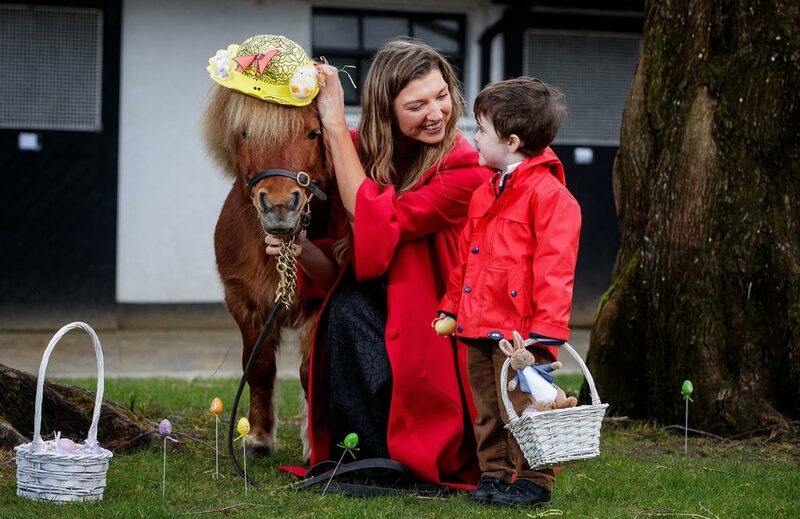 “There will also be plenty of Easter activities for the kids on Sunday too, and we’re looking forward to welcoming families down for what promises to be a great day.” Tickets for Sunday’s meeting at Naas Racecourse are available from €15, which also includes a €5 betting voucher. 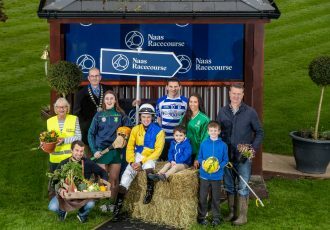 The new ‘Golden Ticket’ offer from Naas Racecourse can be purchased for €30, and this includes admission, a €5 free bet, racecard, €5 drinks voucher and a €10 food voucher. More information can be found on www.naasracecourse.com or by phoning 045 897391.